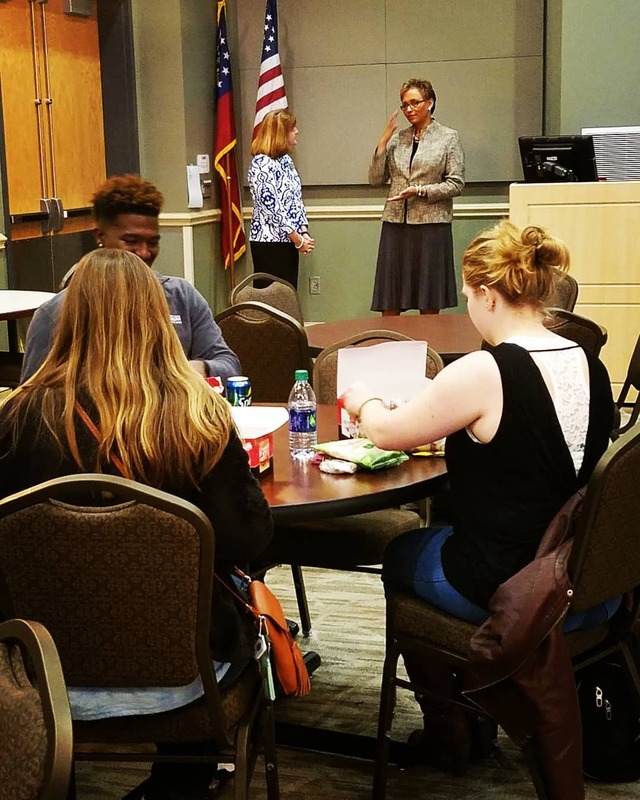 Almost 70 students attended the recent Leadership Luncheon, co-sponsored by the Office of Student Life & Engagement, to hear Dr. Angela Pringle speak to students about her pathways to success. 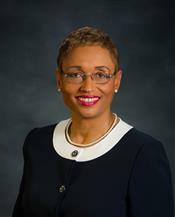 Pringle, superintendent of Richmond County Schools, talked about the specific challenges she faced, while also reminding students to find their own value. Lunch was provided by Firehouse Subs. 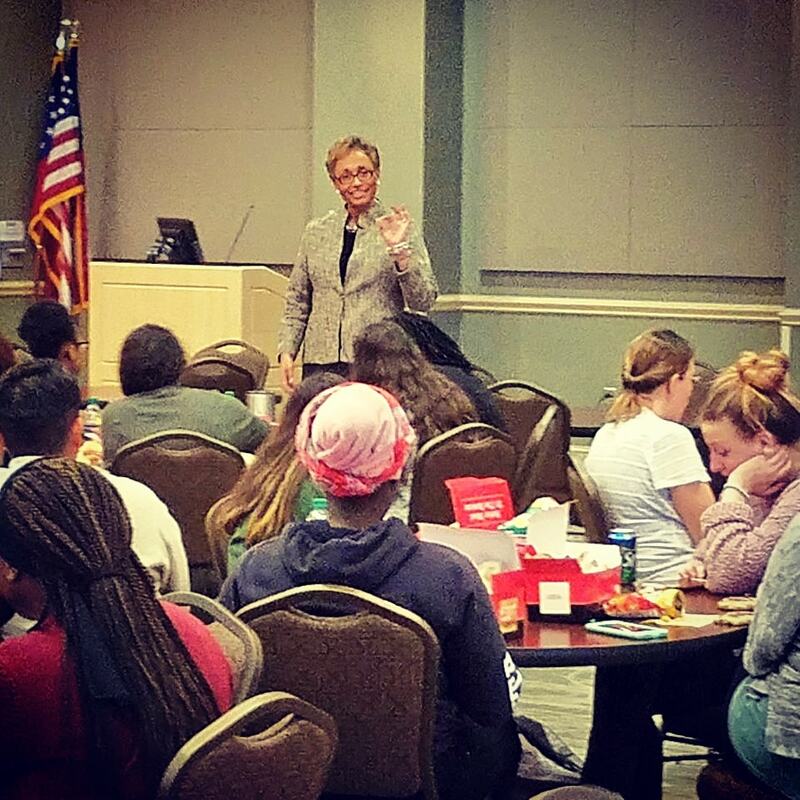 This is the second year we have co-hosted a leadership luncheon with Student Life & Engagement.